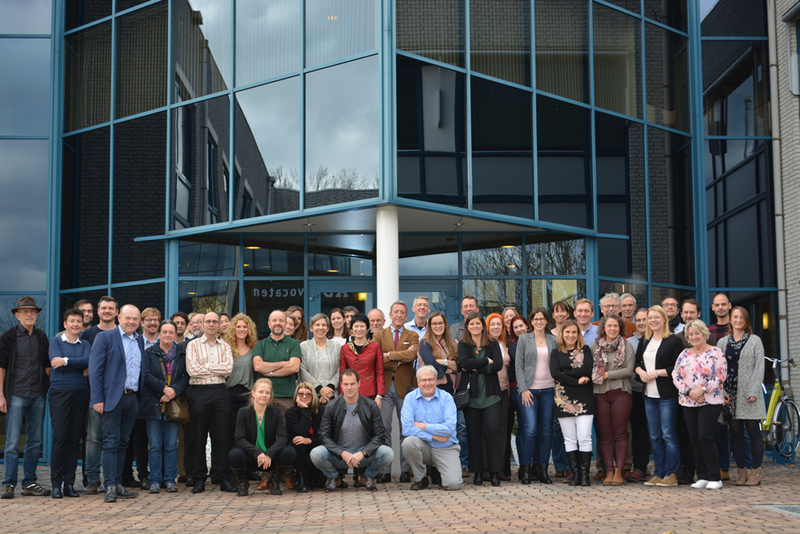 Scientists and artists meet at KeyGene -an independent biotechnology company- in Wageningen, last week. CHIC project aimed at implementing New PlantBreeding Techniques in chicory, in order to establish it as a multipurpose crop for sustainable molecular farming of products with consumer benefits. Chicory contains many healthy substances which can, for example, slow down the growth of fungi and bacteria. The crop is very difficult to breed using the current technologies, breeding and selection, and it is also hard to increase production of the healthy components. New breeding techniques such as CRISPR-Cas can be used to develop new chicory varieties, which contain more fibres and components suitable for medicinal applications. CHIC aims to implement innovative communication tools, including cultural communication and linking art to science, to improve understanding of New Plant Breeding Techniques by the public and for informed decision making.